Johannesburg - Vodacom Bulls coach Frans Ludeke has some uncomfortable decisions to make as his team head into the next phase of Vodacom Super Rugby. According to the supersport.com website, the use of the squad system has done them well so far with the injuries they have had, but there are still some pressing concerns about the form of certain players which need to be addressed with a number of young upstarts knocking hard on the door. At both loose forward and in the midfield, Ludeke will have to make decisions going forward as to who will be the better combination and what will serve his team’s interests better as they edge towards the top of the South African conference. 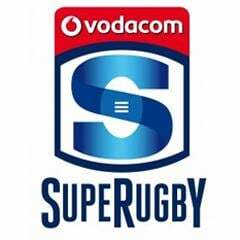 Saturday’s 31-19 win over the Crusaders was a remarkable one not only for the commitment of the players on the field, but for the injuries they suffered before kickoff – losing Lappies Labuschagne and Arno Botha before the game started and Jan Serfontein in the midfield as well. 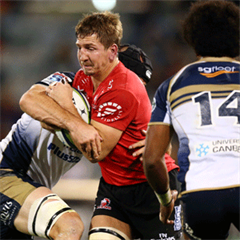 With a long tour still ahead of them later in the season, the next few weeks will be crucial to secure as many points as possible on South African soil, starting with Saturday’s Jukskei derby against the Emirates Lions in Johannesburg. While the normal Monday assessment still needs to happen, it seems Labuschagne could be back in contention for his starting spot this weekend, and on the form of Saturday, it would be hard to deny Hanru Liebenberg another go at the opposition given the big performance he gave coming into the side at such late notice. Liebenberg’s two charge-downs on Andy Ellis’ kicks rattled the Crusaders and led directly to the Bulls opening two tries, and the early advantage they enjoyed in the week. Labuschagne was until last week the hardest working forward in Super Rugby, leading the tackle counts across the Southern Hemisphere and with his workrate it would be difficult to exclude him as well. It is unclear what Botha’s hamstring prognosis is at the moment, and a hamstring is a strange and uncomfortable thing to diagnose, often taking longer than initially thought, but it would be wrong not to feel sorry for the Bok loose forward and his injury problems. Botha came back from two serious knee injuries, only to injure a pectoral muscle in the opening game of Super Rugby, and now his hamstring when he was to make a return to top class action. When he does return he is another fine example of the talent the Bulls possess and would be welcome in most sides across the competition. This all puts the spotlight onto the other two players with Deon Stegmann working tirelessly at the breakdown and enjoying his journeyman tag, while captain Pierre Spies may well face a bit more scrutiny in the coming weeks. Both Botha, Labuschagne and Liebenberg can play at 8 and will be pressing hard to find a place in the starting line-up, meaning that the captain will need to lead from the front more if he is to keep the upstarts at bay. Spies’ return on Saturday was five tackles and three missed, but his critics say he ball-watches too much and looks for the glory runs too often, missing out on the hard work that some of his teammates put in. There is no doubt Spies is a fine athlete, and is also working his way back in confidence since two big injuries of his own. Add to that the experience and the fact he has the support and loyalty of Ludeke behind the scenes, and it is clear that he will be tough to move. Yet the rising talent has a way of making that pressure count a lot more. The same goes in the midfield where Serfontein has ruled without peer for the last few seasons, but has struggled at times this season as he works so hard off the ball. Serfontein is an exceptional talent but the hip injury he suffered last week provided the perfect platform for Burger Odendaal to make a memorable debut into Super Rugby. Odendaal was close to being the man of the match and his direct style is something the Bulls can be thankful for against the opposition they faced. Then there is the impressive attacking and organising talent of former SA under-20 captain William Small-Smith, due to return to action from an injury shortly and Junior Bok fullback Warwick Gelant who has been running circles around opposition in the Vodacom Cup. All of them are knocking, and placing pressure on those above them. Ludeke has often been accused of being too loyal to players for too long and holding back the young talent from taking its rightful place. But as the season continues he will need to manage the rising stars better, and use them carefully if his team are to make some deep inroads into the business end of the tournament.